Released on Thursday, August 15, 2002 at www.sf-books.com in n/a, www.sf-books.com World Wide Web. I just received this book from MaulLove. Thanks! I realized that I have had this book on my shelf for over 2 years. I picked this up and hardly could put it down. I considered The Rowan's series to be one of my favourite series and I am glad to find another series about mind powers. I believe that the third book in this series leads right into The Rowan. The book deals with another step in human evolution - the development of telekinesis, telepathy and other mental superpowers. I think this is an idealized version of how the world would react if there was scientific proof that people possessed these powers, but it's a nice story. This book is composed of 4 short stories, each with some time that has elapsed between stories. 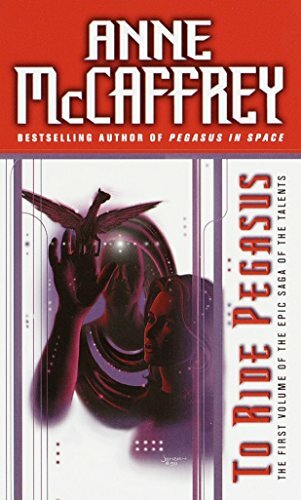 I am looking forward to reading Pegasus in Flight.